Chicago, IL -- Shawn Kemp, better known during his days in Seattle as "The Reignman" is on his way back to the NBA after inking a two year deal with the Chicago Bulls reportedly worth $9 million. Kemp, who has sat out the 2003/2004 and 2004/2005 NBA seasons will attempt to resurrect a career that was derailed by substance abuse. "My career didn't end up how I would have liked, I didn't get to leave on my own terms," the 35 year old former All-Star told reporters at his first Bulls practice. "I'm very grateful for the opportunity to prove I can still play the game at the highest level and help Chicago make another playoff run." Kemp figures to ease the loss of Eddy Curry, who was re-signed then traded to the Knicks this past offseason. In Kemp, who has shed nearly 30 pounds in preparation for his comeback, the Bulls have a legitimate big man and a former All-Star who will no doubt tutor Tyson Chandler and Mike Sweetney as well as seeing some significant minutes as the Bulls look to return to the playoffs again after breaking a six year drought last April. *Just in case there's any lawyers around! Shawn Kemp understands the skepticism. He's 35 years old. He hasn't set foot on an NBA court in two years. His best years are behind him and his recent past has been filled with weight problems, cocaine addiction and countless paternity jokes. At the same time, the lucrative deal he signed with the Cavaliers back in 1998 a year after his trade from Seattle has afforded him financial security and allows his family to live in comfort. But that's not what Kemp wants his legacy to be, that's not how he wants to be remembered. That's why he's standing here talking to reporters after an intense training session. That's why he's dropped a remarkable amount of flab. That's why he's convinced the Bulls to give him a two year deal estimated to be worth around $9 million to show he's not washed up. And I admit it, I'm one of those skeptics. Kemp says he's grateful for the opportunity. I'm sure there's a lot of fans hoping he'll show his appreciation through his production. This isn't the same Kemp that looked so impressive against us in the 1996 NBA Finals. It's not the same Kemp that was expected to lead the young Cavaliers in the late 90s and he's a far cry from the young man with so much potential and athleticism. But he insists he's also not the same man who was suspended for violating the terms of his rehabilitation and that at least is a piece of good news. Kemp won't be around for long and Curry may be destined for bigger things in New York, but as a short term solution I'm willing to give it a chance. After all, he's a former All-Star who reached heights Curry hasn't come close to touching yet. He won't need to be the Reignman of old. If he can defend the paint, score a few buckets a night and perhaps pass on some of his more admirable habits to the likes of Tyson Chandler and Mike Sweetney, he'll be worth the investment. Why do I have such faith in him? 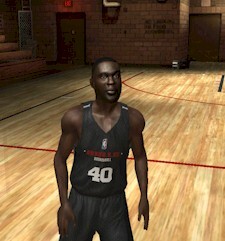 Watching him practice, I noticed a touch of the old Shawn Kemp. He can still hit jumpers and is effective around the basket, he can still rebound (probably better than Curry) and he even threw down a couple of dunks. He hasn't forgotten how to play the game. I'm not sure whether I'd start him though. His conditioning could be better and he seemed exhausted after practice finished, but whether he starts or come off the bench it seems he would be able to give the Bulls a decent 20-25 minutes per night at the power forward and centre positions. I anticipate the Bulls will experiment with their lineups as far as Kemp, Chandler and Sweetney are concerned before deciding who deserves the starting nod. Chandler will likely start at centre most of the time while Sweetney and Kemp battle it out at power forward. I expect Luol Deng will edge out Andres Nocioni at the other forward while Hinrich will probably start alongside Ben Gordon in the backcourt. Chris Duhon impressed a lot of people last year and worked hard during the offseason but the Bulls will not benefit from holding Gordon back. It should be an interesting season that kicks off in the United Center against the Bobcats on Wednesay. The Mavericks' Dirk Nowitzki outshone his former teammate and reigning Most Valuable Player Steve Nash as he scored 50 points in the Dallas Mavericks' 128-98 thumping of the Phoenix Suns. Jason Terry added 24 points and 11 assists for the Mavericks, who outscored the Suns 38-23 in the third quarter and never looked back. "Obviously, this isn't the kind of start we were hoping for," commented Suns' coach Mike D'Antoni. "We're disappointed but we know we've got 81 games left to play. We won't let this happen again anytime soon." Nowitzki admitted that the meltdown in last year's playoffs added extra motivation. "I wasn't happy with how our season ended," the All-Star forward said. "We wanted some revenge." Amare Stoudemire, Shawn Marion and Steve Nash all scored more than 20 points led by Nash's 25, but Marion shot 9/24 and Kurt Thomas was the only other Sun in double figures, with 11 points off the bench to go with 10 rebounds. Elsewhere the Bucks survived an overtime battle with the Sixers as first overall pick Andrew Bogut made his NBA debut, scoring 12 points as well as grabbing 14 rebounds, blocking two shots and dishing out 4 assists before fouling out in Milwaukee's 100-98 victory. Allen Iverson scored 31 points as he led a 27-13 fourth quarter charge that forced the extra period. Redd scored 28 for the Bucks while Webber had 20 points, 13 rebounds and 6 assists for the Sixers. The defending champion San Antonio Spurs opened their season against the Denver Nuggets, whom they eliminated 4-1 in the first round en route to their 2005 crown. Tim Duncan was in fine form scoring 22 points to go along with 10 boards and 5 assists as the Spurs topped the Nuggets 91-82. Michael Finley, acquired during the offseason after being waived under the amnesty clause by the Dallas Mavericks, scored 10 points off the bench. Marcus Camby led the Nuggets with 22 points, 7 rebounds, 4 assists and 2 blocks while star forward Carmelo Anthony scored 12 points and struggled shooting 5/16 from the field. I'm excited about this season. I still can't believe I've been given the opportunity to take the reigns as coach and general manager of the team I've always loved. I have a really good feeling going into the new campaign. There's some tough obstacles though. The guys are still dealing with the loss of Eddy Curry. It's the nature of the business but last year everyone formed a close-knit unit so it's not as though they've just lost a teammate or colleague, they've lost a friend to the "enemy". And in replacing Scott Skiles, I'm replacing a coach they both liked and respected. So far everyone has given me a warm reception and I feel they've put their faith in me. I definitely feel some pressure to live up to their expectations, not to mention those of the fans, Jerry Reinsdorf and my own. I can't wait until tomorrow. I'm sure we'll put on a show for our fans and start the season on a high. Last edited by Andrew on Sun Mar 09, 2008 10:44 am, edited 30 times in total. Good luck!! Hope you take this one far! Andrew, are you frustrated that your Bulls have lost 8 in a row so you've decided to change their fate in an NBA Live dynasty? I would do the same..
Good luck Andrew ! 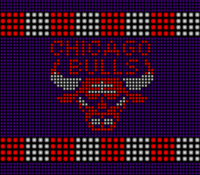 Lead once again the Bulls to the NBA Championship ! Nah nice thread once again. Everyone rants and raves about cocobee's collage dynasties, but these are a throwback to how we used to do them. Lots of writing and that forces us to use our imagination. I will be reading! Jugs wrote: Andrew, are you frustrated that your Bulls have lost 8 in a row so you've decided to change their fate in an NBA Live dynasty? I would do the same..
Kind of, but I just can't go past doing a Bulls one these days. Matthew wrote: Nah nice thread once again. Everyone rants and raves about cocobee's collage dynasties, but these are a throwback to how we used to do them. Lots of writing and that forces us to use our imagination. I will be reading! Thanks mate, I'm feeling pretty enthusiastic about this one so I'll hopefully be able to update it frequently. So many questions about lineups for opening night. I still haven't decided on my starting power forward: Shawn or Mike? Or I could go another way completely and start Noce. I like the idea of having Chris off the bench with Kirk and Ben in the backcourt, and I'm sold on Luol starting as well. I think we'd be best with Tyson starting in the middle, at least for tomorrow. Who knows what I'll decide after the game is done? That's the mistake some coaches will make, starting players out of principle and being too reluctant to change. I'm all for stability but when something clearly isn't working a change is in order. "Fix the problems and don't fix what ain't broke." That's my motto. I think it will be a gametime decision. Ultimately it doesn't matter who starts this one. I'll try to give everyone enough time to show what they can do and find out which strategies will best suit our team. I think some folks would like Shawn to start for sentimental reasons and I'm leaning towards him but ultimately we're trying to win games and get back to a level where we can compete for a championship, not weave our own story. Still, I know how important this comeback is to Shawn and I truly feel we will be able to use his talents. So I don't plan on having him warm the bench. I want to see how Ben reacts to being the first option. I think he's ready. There's no advantage in holding him back. That said I'll be quick to look elsewhere if he's not yet comfortable in that role. With the makeup of this team I think most of our wins will come from a balanced attack rather than a dominant 30 point scorer with everyone else just chipping in once and a while. But I am a firm believer in letting a scorer go when it's clearly his night and it's working for the team. I don't care to cut my nose off to spite my face. Everyone's ready for the season to tipoff. I can't wait. Last edited by Andrew on Fri Jan 06, 2006 8:58 pm, edited 1 time in total. how do u post pictures right next to each other, for like a starting lineup? I will definitely follow your dynasty, I am very excited that you signed Kemp to the Bulls for 2 years. Kemp in Live 06. I would like to see Kemp start at PF because that is his natural position. Kemp looked so slim in that pic, did you change his weight to 270lbs? Kemp wrote: I will definitely follow your dynasty, I am very excited that you signed Kemp to the Bulls for 2 years. Kemp in Live 06. I would like to see Kemp start at PF because that is his natural position. Kemp looked so slim in that pic, did you change his weight to 270lbs? I was thinking of upping his bodytype to the next size. I've got him listed at 256 which was his weight when he got to Cleveland. I might make that a round 260 or a tad higher, though he did look like he'd slimmed down a lot in that interview a few months back. I did reduce his muscle tone a bit compared to his counterpart in the Legends pool. Looking good Andrew, deffinately a step up from your previous years, not to say they were bad, this is just really really good. I enjoyed reading it. I'm a supporter of Gordon off the bench, but i guess since he played so well last season he deserves a chance to start. Thanks Mark. I didn't do many feature articles and such in previous years, something I'll be doing more of in this one whenever my time allows it. I don't want to overuse pictures though, I'm hoping to use words to paint the picture and just have a few pictures of memorable moments and to punctuate some stories. Andrew wrote: Nah nice thread once again. Everyone rants and raves about cocobee's collage dynasties, but these are a throwback to how we used to do them. Lots of writing and that forces us to use our imagination. I will be reading! A great start, i'ts great to see a dynasty not full of oversized pics for a while. I'm really curious to see how Kemp will fit to the NBA. Keep it up! Wow, that's weird. Can't even explain how I came to do that. It's the six day weeks I've been working, my brain's melted. Fixed it up now. I think start sweetney. Allow kemp to work for his starting position. 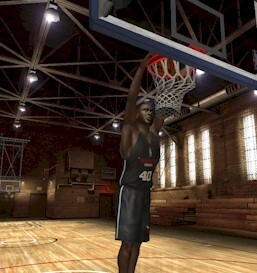 Is Shawn Kemp going to participate in the dunk comp? Nah, I lowered his dunk rating to 60. I think Gordon's the only one who'll be eligible. Was an awesome dunker. He's 35 and even if he did shed the weight (as that interview with the real Kemp a couple of months back would suggest) I don't think he'd be throwing it down like he used to. I don't think 97 would be appropriate these days. Bucks next champs! Go Bucks! You flatter me, I haven't even posted a recap yet. Tomorrow; I'm sure I'll be playing the first game after I get home from work and watch the second half of Spurs/Timberwolves.